Des2471, Macey, JayVeeez and 1 others like this. Des2471, Monkeynuts, Macey and 3 others like this. 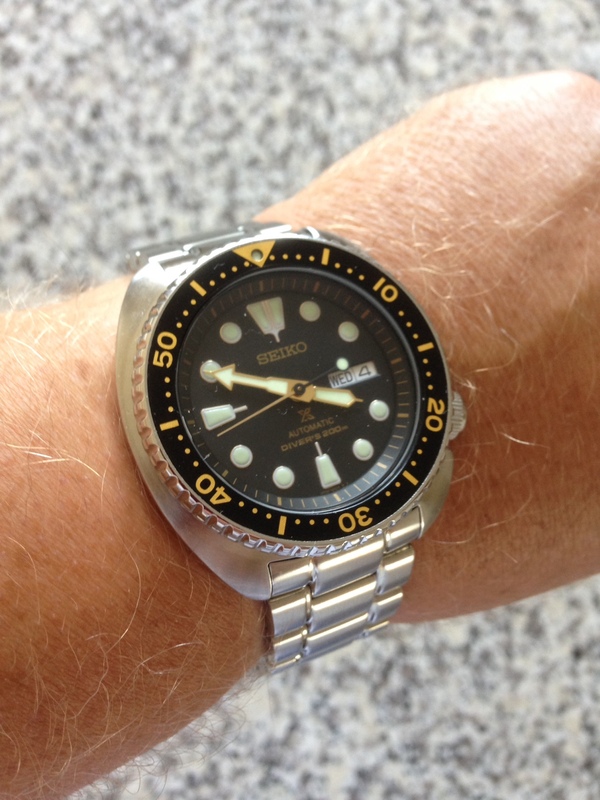 My Seiko SRP775J1 has just arrived - 30 minutes ago - and I love it! 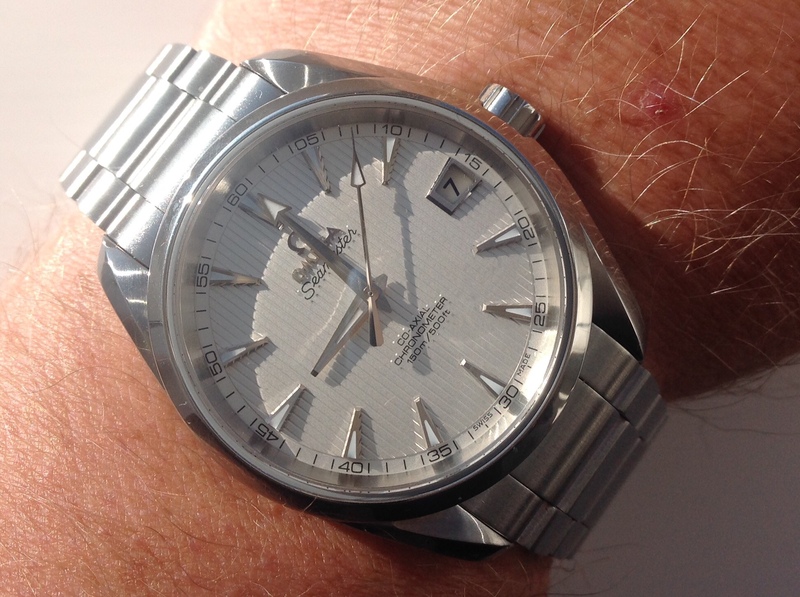 It is beautiful in the flesh (well, metal...). 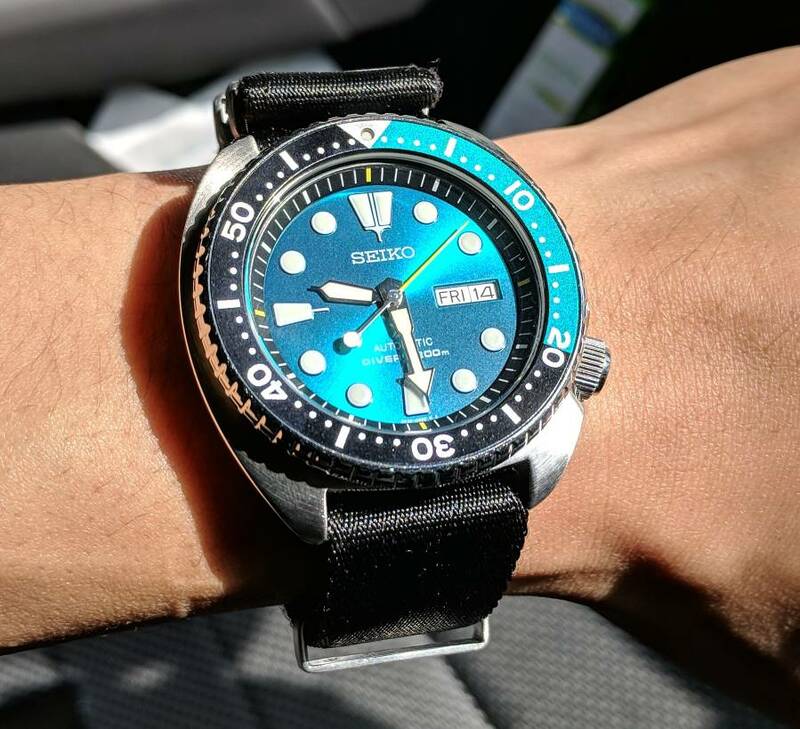 I'm wearing it on a 22mm dark green Isofrane style Borealis strap, which I highly recommend. adg31, Monkeynuts, Macey and 2 others like this. Still on the bracelet but thinking about a NATO or rubber to take some of the weight out. Monkeynuts, Des2471, Macey and 1 others like this. And another one with good alignment! adg31 and Macey like this. Also happen to be wearing a Turtle on my non Doxa day. Des2471, adg31, Macey and 1 others like this. Beautiful turtle! Wear it in the best of health. zaratsu and Macey like this. 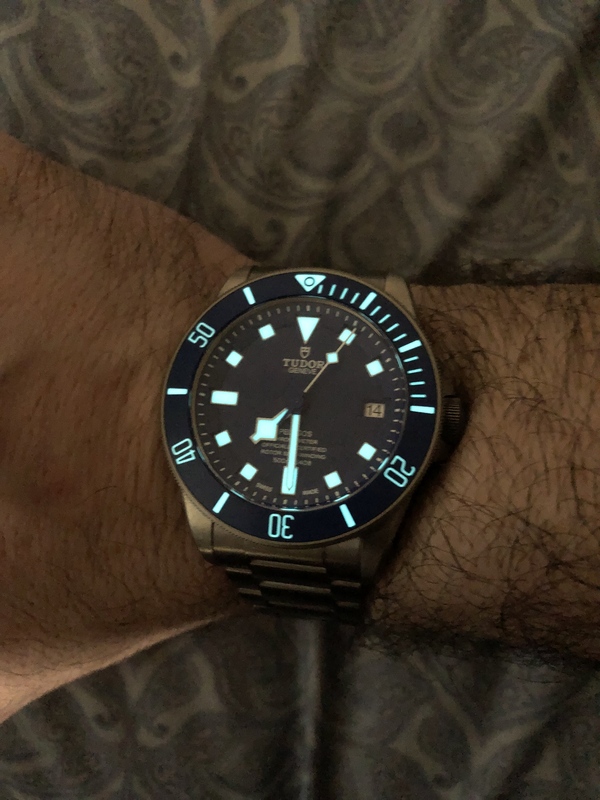 When I'm not wearing a DOXA, I'm often alternating between my Helson Spear Diver, Helson SM 300, and my Seiko Turtle. El Loco Norwegian, Des2471, J.Law and 6 others like this. 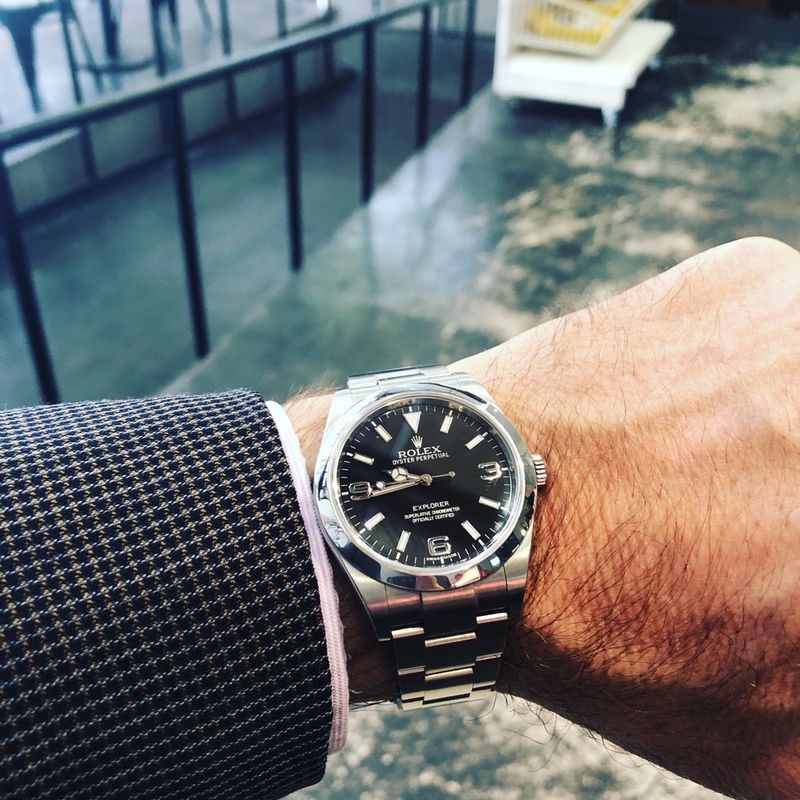 « Which Doxa should I get?